Edward "Skip" Wellman Serrell IV, 58, of Castle Rock, Colo., passed away on March 15, 2019, in his home. Skip was born to Bill and Lindsay Serrell on Jan. 30, 1961. Skip graduated from Douglas County High School in 1980 and received a certificate in ranch management from Texas Christian University and a degree in agricultural business and economics at the University of Wyoming in 1993. He married Mary Kersting in August of 1991 in Laramie, Wyo. Skip was a wonderful son, brother, husband, father, and friend. He dedicated his life to helping others and loved being a part of the Douglas County 4-H community. He was a huge advocate of youth development and has inspired so many others. Skip will be deeply missed. Skip is survived by his wife, Mary; two children; Ed, 24, and Rachel, 20; his sisters, Lindsay Serrell Galey (Craig Mergelman) and Brooke Fox (Bret Fox), his parents, Bill and Lindsay Serrell, and numerous other relatives. 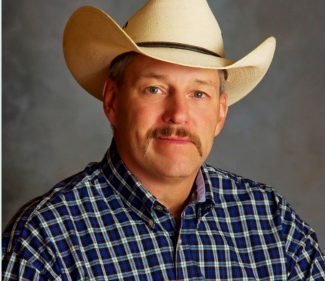 Family, friends, and others celebrated his life at the Douglas County Fairgrounds Events Center in Castle Rock on March 22, 2019.